Anshe Sholom Chabad was founded with an over-arching vision. Although Jews may embrace many levels of observance in their personal lives, there should be a place for all Jews - no labels, no affiliations - to develop a sense of community, to enhance the experience of being Jewish, to learn and to have fun. With tolerance, sincerity and deeply rooted values, Chabad can help you find that Jewish Center in your heart. After five years in North Andover, Rabbi Zalman Borenstein, together with his wife Mushkie and their children Mendel, Enna, Sara, and Yossi, recently moved to Haverhill as Rabbi and Rebbetzin of congregation Anshe Sholom Chabad. 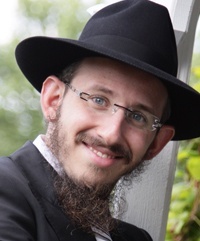 Rabbi Zalman Borenstein, originally from Brooklyn, New York, received his rabbinical degree at theRabbinical College of America, in Morristown. He was ordained by former chief Rabbi of Israel, Rabbi Mordechai Eliyahu. He then received his advanced Rabbinical degree from Rabbi Dovid Schochat, head of the Beth Din in Toronto, ONT. At the age of 21- 24 he visited Jewish communities in Argentina, Russia, Peru, and Ghana; offering Shabbat and Holiday programs, as well as Jewish studies and Kosher food. Rabbi Borenstein now serves as rabbi of Anshe Sholom Chabad, making himself available to fulfill the spiritual needs of the community. Mrs. Mushkie Borenstein, daughter of Rabbi and Mrs. Bronstein, studied in Seminary Chaya Mushka, in Safed, Israel for a year. She has been teaching at various preschools throughout the past few years. 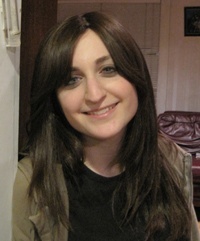 She now works alongside her husband, Rabbi Borenstein, directing the Kiddie Hebrew School of Chabad of Merrimack Valley, as well as other Chabad programs.